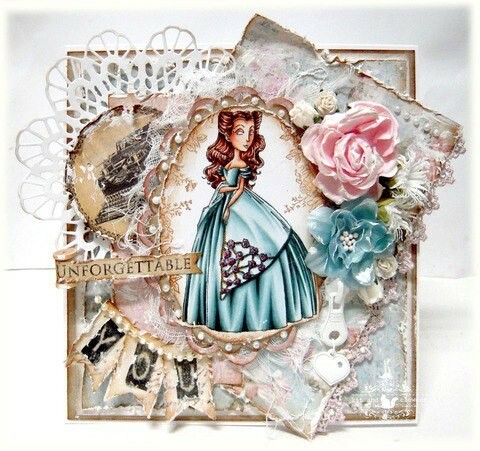 was designed by artist Annie Rodrigue for Kraftin Kimmie Stamps! The size is approximately 3.5 x 2.25 inches and you will receive this stamp in unmounted deeply etched grey rubber. 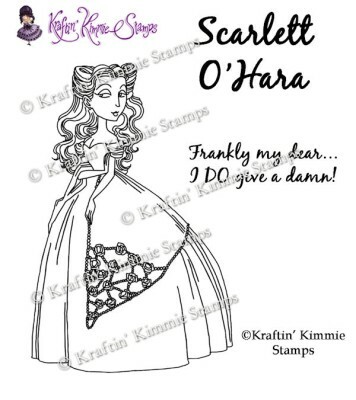 You will also receive the coordinating sentiment stamp, Frankly my dear....I DO give a damn!